A full-featured ophthalmoscope instrument at an economical price. · XHL Xenon Halogen Technology - Bright, white light for clear retinal image. 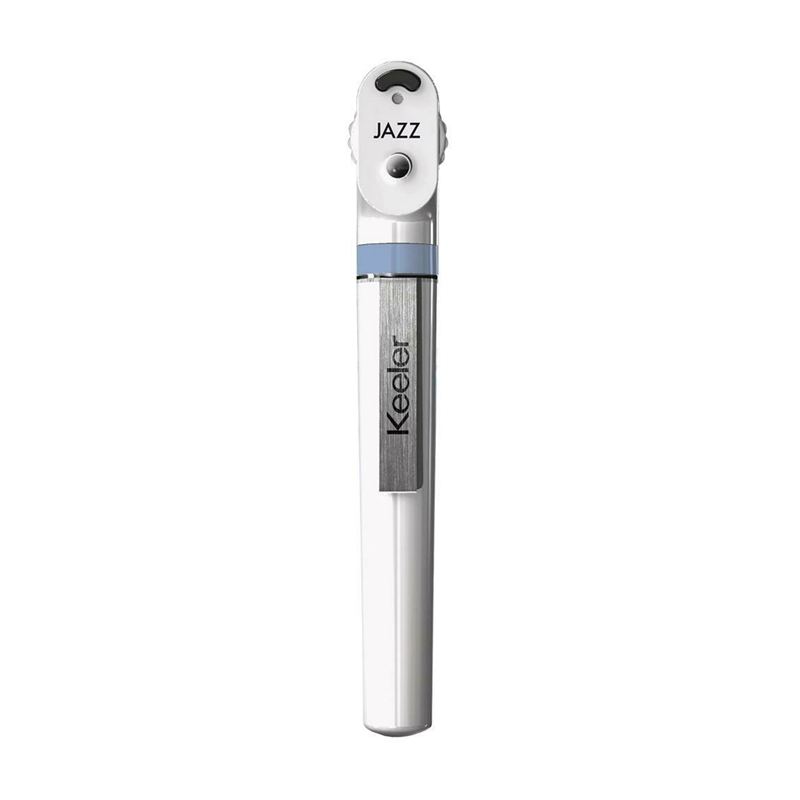 · Ergonomic shape - the instrument fits the orbita comfortably. · Soft orbital rest. Steadies the instrument and protects your glasses. cobalt blue filter for corneal examination. · Dust protected optics for maintenance free use. · High-impact polycarbonate housing for durability. 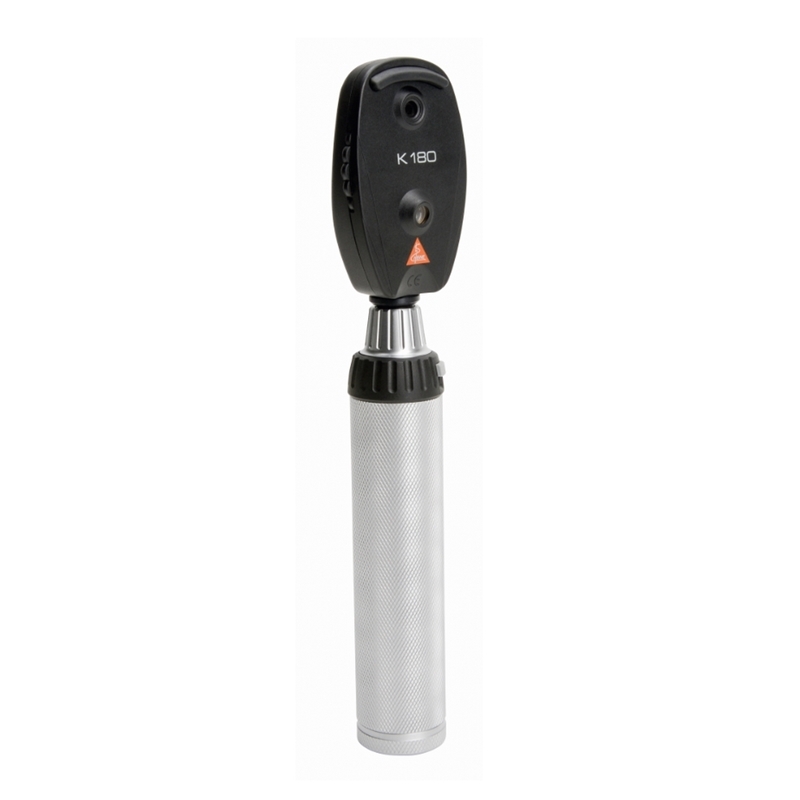 · Heine large 2.5v battery handle. · Supplied complete in red/black canvas pouch. This product comes with a Heine 5 year gurantee. · Heine BETA4 3.5v USB rechargeable handle with plug-in power supply. · Supplied complete in canvas pouch. · Xenon Halogen – for bright illumination and authentic colour rendering. · Patented, unique, stepless dimming from 3 % to 100 % with practical one-finger operation. · No stray light due to the recessed, multi-coated viewing window – eliminates distractions. · Precise one-hand control of the instrument - ergonomic design offers flexibility while examining. · Suitable for large as well as small or undilated pupils. · Ergonomic design ­ fits the orbita comfortably, and blocks out ambient light. 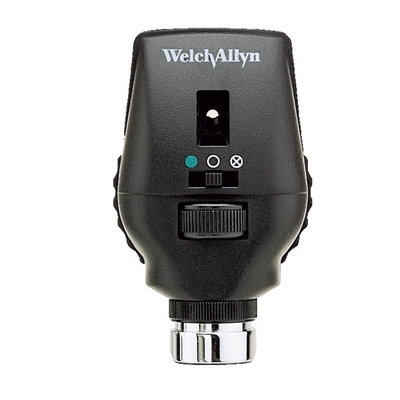 Welch Allyn 3.5v Standard Ophthalmoscope with an interchangeable C-Cell handle. 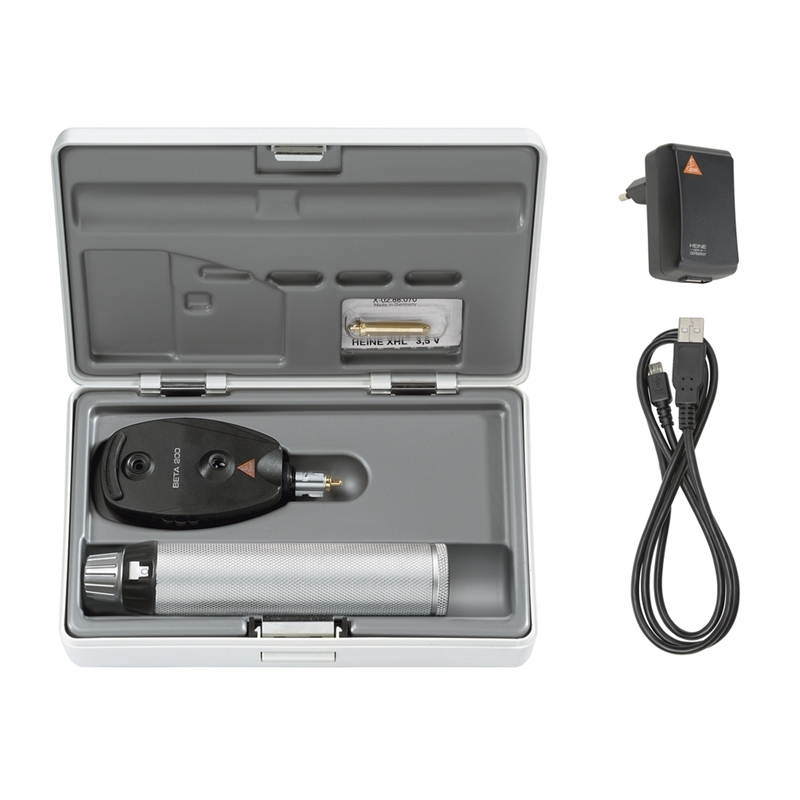 Welch Allyn 3.5v Coaxial Ophthalmoscope with an interchangeable C-Cell handle. Standard Ophthalmoscope on a slim-line 2.8v dry cell battery handle. An easy to use and uncomplicated ophthalmoscope the Standard has become a popular industry standard for ward and GP use. The PanOptic ophthalmoscope with a Lithium-Ion Smart Handle. Provides easy entry into the eye, together with a wider field of view to more easily observe conditions such as hypertension, diabetic retinopathy and papilloedema. XHL Xenon Halogen Technology - Bright, white light for clear retinal image. Choice of 5 apertures for both large and small pupils including fixation star. High quality battery handle for size AA batteries. Attachment clip with integrated on/off switch. Automatic power off when returned to the pocket. Supplied complete in hard case. Standard Ophthalmoscope on a slim-line 3.6v rechargeable lithium battery handle. An easy to use and uncomplicated ophthalmoscope the Standard has become a popular industry standard for ward and GP use. Practitioner Ophthalmoscope on a slim-line 2.8v dry cell battery handle. The practitioner range tend to be favoured by the GP or Primary Care Specialist. Practitioner Ophthalmoscope on a slim-line 3.6v rechargeable lithium battery handle. The practitioner range tend to be favoured by the GP or Primary Care Specialist. A set of three interchangeable coloured rings are supplied allowing you to customise the appearance of the otoscope to suit your mood.